Summer is a laid back time of year. Your summertime social calendar isn’t all planned in advance, like it is around the holidays. People just throw parties together on a whim. Friends drop in unexpectedly—which is both a tremendous joy and also a bit of a headache, if you’re not prepared to host at a moment’s notice. In the wise, wise words of LFO, “Summer girls come and summer girls go.” So astute. So my list of summer essentials is all about being prepared for accidental parties. Bookmark this post, share it with friends and be the girl that’s ready for anything. 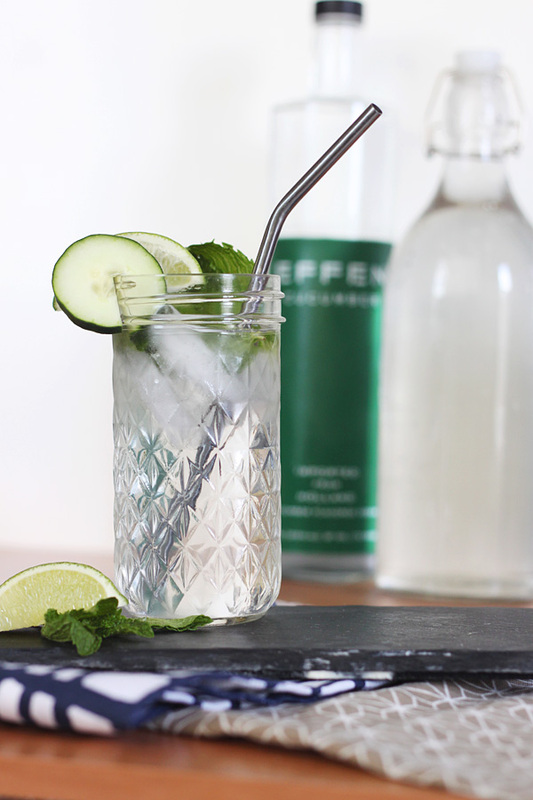 My favorite summer cocktail recipes are the ones I can memorize. Fewer ingredients and fewer directions mean you can get back to the party even sooner. You know… a cup of this, a squeeze of that. May I make a few suggestions? 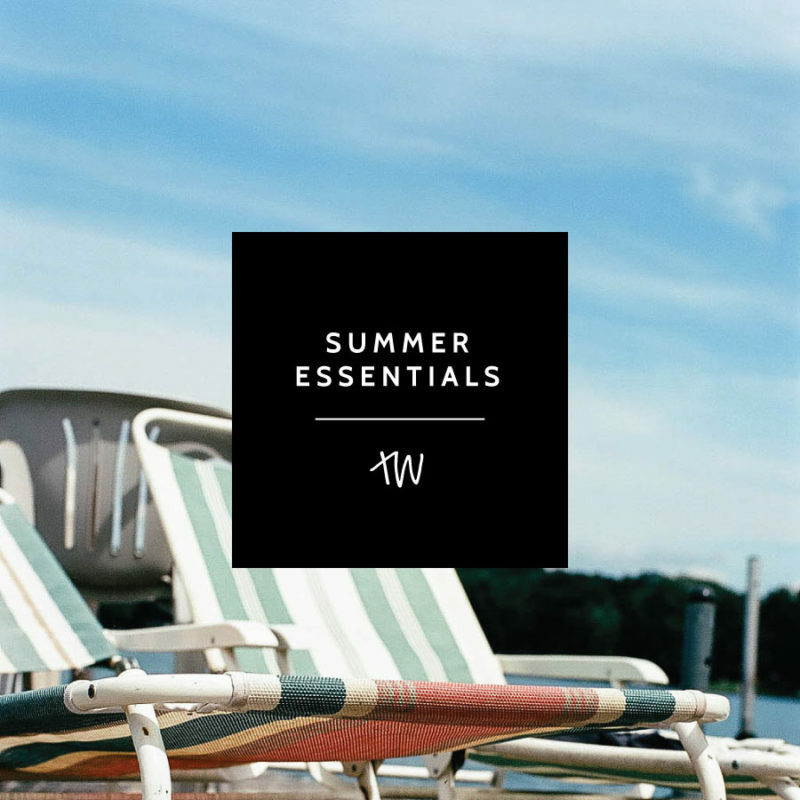 I shared my summer Spotify playlist right here the other day. All that matters is that it’s upbeat, crowd-pleasing and long enough to play along a lazy afternoon. As a recovering perfectionist I have to remind myself, “You don’t need to be Martha all the time.” So I’ve been trying to keep low-maintenance, store-bought nosh stocked in the fridge lately. I like having a pre-fab tray of crudités packed up for a random get-together. And here’s another helpful tip: Frozen mozzarella sticks are just as delicious as anything you slaved over the stove to make. This post is part of a blog link-up sponsored by the gals at The B Bar. If you’re looking for more of the best of summer, check out these blogs below. Here from the link-up? Stick around! I’m a visual designer & lifestyle editor whose mission is to help creative people make their mark. I post about food, parties, podcasts, and my favorite restaurants in Atlanta. I like to invent things, like this chicken & waffles cupcake recipe and my annual fantasy Oscar party draft game. I’m a newlywed and a boy-band fanatic. You can learn more about me here, and learn about this blog right here in the Front Matter. Frozen summer snacks are key on those hot days!! So very true. I’ve never tried frozen mozzarella sticks though! Mozza sticks are ALWAYS in my fridge. They’re just so easy and perfect. Those cocktail recipes look delish! Thanks for including a little about yourself in the post. Really helpful for others in the link-up. Great idea! Thanks! It’s my first link-up so I thought an introduction was in order.